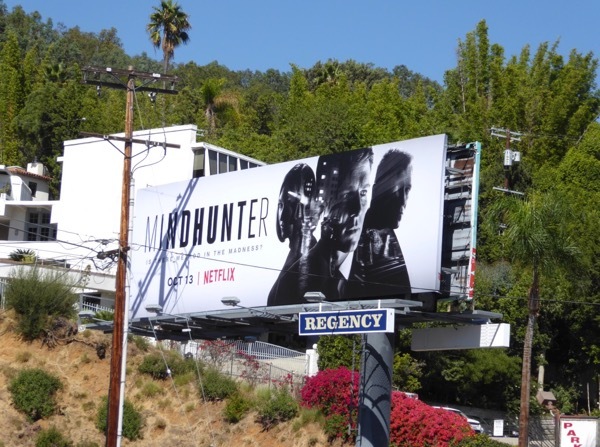 If you're a fan of true crime stories, then Netflix has a new show that should fit your state of mind, Mindhunter. 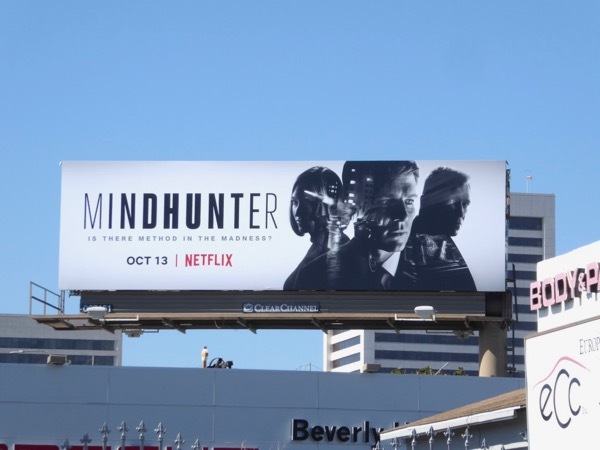 Adapted from the Mark Olshaker and John E. Douglas true crime book, Mind Hunter: Inside The FBI's Elite Serial Crime Unit, the series is set in 1979 during the early days of criminal psychology and profiling at the Federal Bureau of Investigation. Jonathan Groff stars as 'Holden Ford' and Holt McCallany plays 'Bill Tench', FBI agents who interview imprisoned serial killers in order to understand their motives, solve ongoing cases and catch deadly murders and rapists. 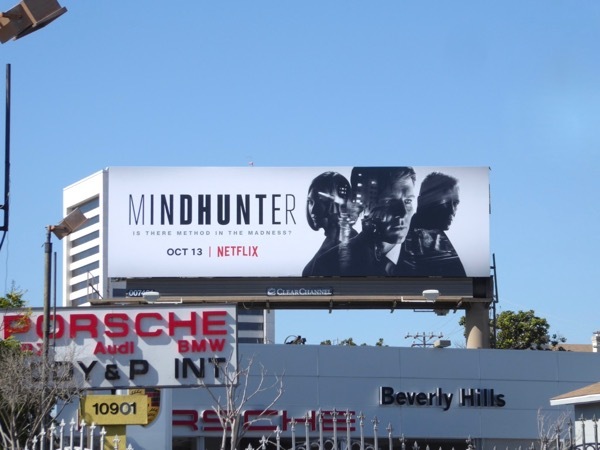 These series launch billboards for this new crime procedural were captured along the Sunset Strip and Santa Monica Boulevard from September 29 to October 7, 2017. 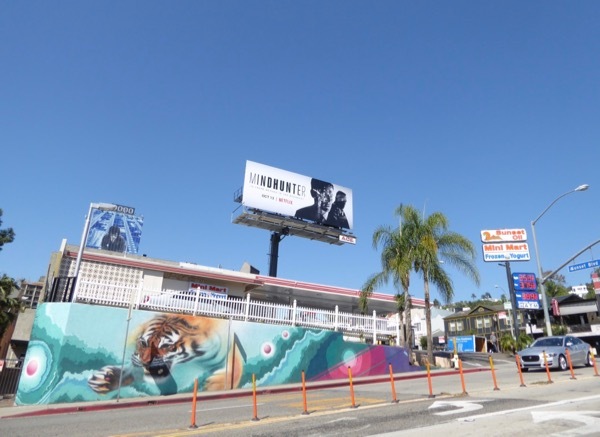 Plus fans of Jonathan Groff can also enjoy these Looking TV series billboards. 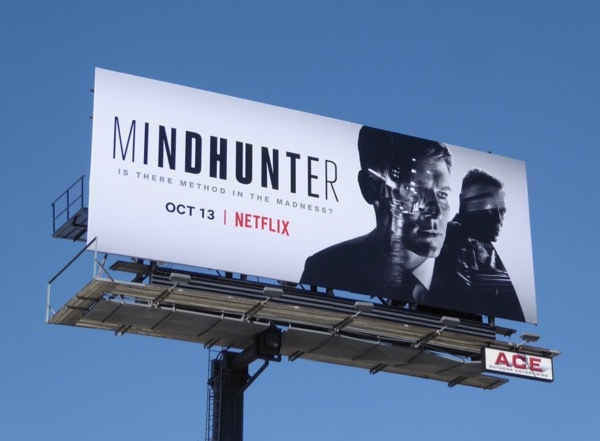 Find out if there's method to the madness this October, and if you're wavering about committing to another series in the midst of a new fall TV season, you should know that Mindhunter has already been renewed for a second season. 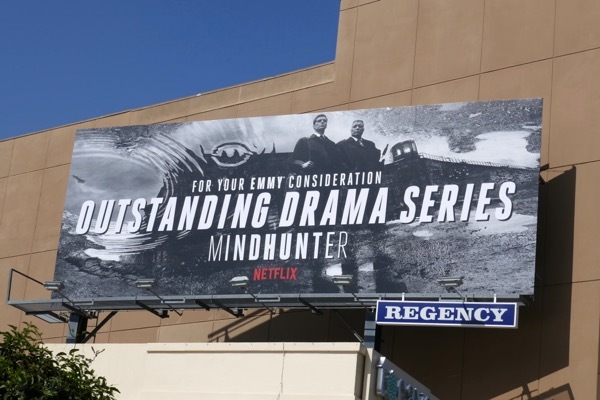 UPDATED: Can Netflix's Mindhunter score some industry accolades this awards season? 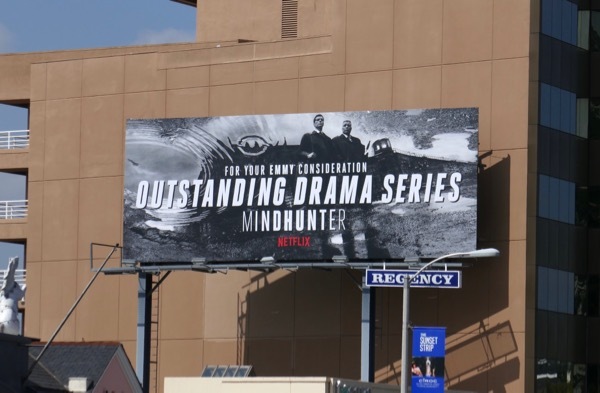 Maybe this Emmy consideration billboard for its debut season, spotted along the Sunset Strip on May 14, 2018, will help garner some votes.